Chris Laurence was born in London and studied at the Guildhall School of Music. He has maintained a dual career in both jazz and classical music. In the classical world he was principal double bass with the Academy of St. Martin in the Fields Orchestra until 1995, playing on many of their famous recordings ranging from the film “Amadeus” to Benjamin Britten’s “Curlew River”. Jazz artists he has recorded with include trombonist J.J.Johnson, Tony Coe, Joe Williams, Sarah Vaughan, Clark Terry, Johnny Mathis and Lena Horne. His current recordings are John Surman’s “The Spaces in Between”, Kenny Wheelers “The Long Waiting” and “Songs For Quintet” on the ECM Label and Norma Winstone’s “Manhattan in the Rain”. He also spends a lot of time recording music for TV, Film and Albums, most notably “Leaving Las Vegas”, Ken Loach’s “Looking For Eric”, “The Constant Gardener”, Howard Shores’ score for “Hugo” and most recently was featured on the sound track of Mike Leigh’s “Mr Turner”. In 2007 he recorded a CD with his own jazz quartet titled “New View”, released on the “Basho” label along with Frank Ricotti (vibes), John Parricelli (Guitar), Martin France (Drums) and featuring Norma Winstone (Vocals). As well as jazz and classical music, Chris has also featured on albums with many stars including Elton John, Sting, Peter Gabriel, Mary Chapin Carpenter, Joni Mitchell, David Gilmour, Michel Legrand and guitarist John Williams. 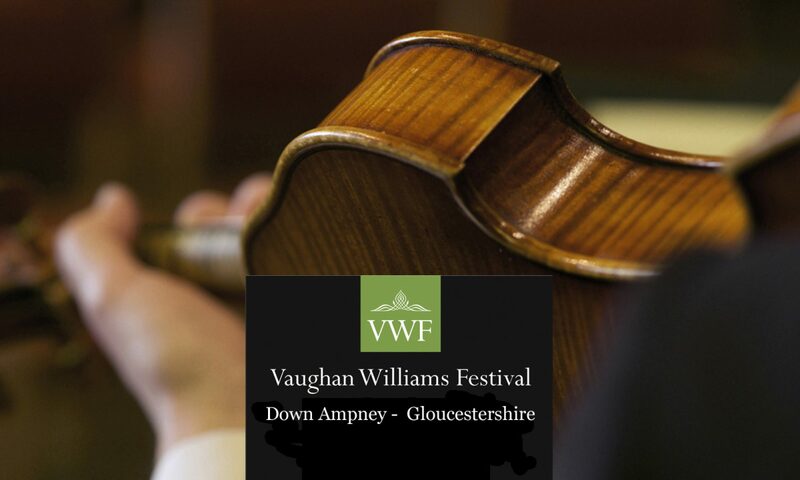 A Festival in memory of the great Ralph Vaughan Williams is probably long overdue. This Festival will unquestionably be a fitting and worthy occasion in memory of a man that contributed an astonishing amount to English music.